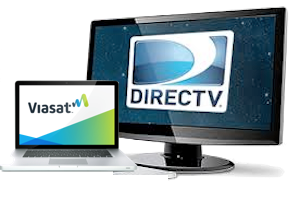 Whether you wish to connect with major television providers such as DIRECTV and Dish Network or just need to maintain internet access, our company has you covered. We'll find a solution that perfectly matches your requirements. Outer space is truly a place of wonder and mystery. Since the Soviets first launched Sputnik 1 in 1957, Americans have been fascinated by the possibilities of space and the craft we send forth to search it. The exploration of this unknown realm has led to many amazing innovations and ideas, such as the transmission of signals from orbiting satellites to receivers on earth. Here at Satellite Solutions, the impressive nature of this technology is not lost on us. We think about it every time we perform a satellite installation for one of our valued clients. In the event that your concerns are simply earthbound, don't worry, we offer security system installations as well. Ready for high speed internet outside of the city? We'll get you connected and streaming before you can plan what you want to see first. With a plethora of satellite channels available, there's never been a better time to upgrade your TV setup to get the channels you want at the touch of your fingertips. Feeling safe is an important part of maintaining your physical and mental well-being. We'll ensure your peace of mind by delivering comprehensive home security installations. Perfect Timing! I hate trying to schedule service people to my house because it's always inconvenient with a huge window of time to kill while they may or may not show up. Not with Bill and his guys! They let me pick a time that was actually convenient for me. So great! Wow, that was fast! I called on Monday afternoon to ask for a quote and by Thursday morning the guys were at my house installing my new internet and tv. The other guys had me scheduled for 2 weeks later. Bill and his team were incredible. I'm not very tech savvy and didn't know what I actually needed. They were very patient and listened to what I needed and suggested the best package for me. I'm so thankful for honest people. Let's make your life quick, clean, and painless. Installations to fit your schedule. Sunday: 10:00 a.m. - 3:00 p.m.
Redding, Anderson, Red Bluff, Palo Cedro, Chico, Corning, Cottonwood, Douglas City, French Gulch, Happy Camp, Hayfork, Hornbrook, Lewiston, Manton, Montague, Mt. Shasta, Platina, Shasta Lake, Shingletown, Weaverville, Weed, Willows, ClearLake, Fort Bragg, Ukiah, Eureka and Yreka, CA and many others. A member of our team will contact you within the next 24 hours to set up a time or answer any of your questions.